Last week, I returned from a weeklong trip to the east coast, where I traveled from Nantucket to Sag Harbor (see some snapshots from my trip here)… And ate my way through both towns! 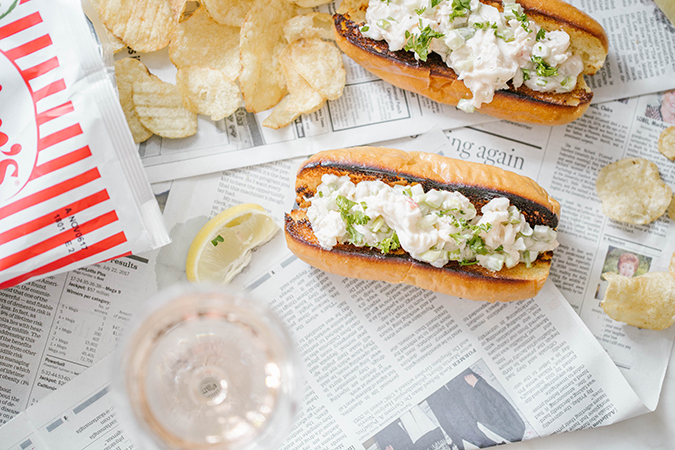 It’s hard not to order delicious seafood when traveling through the east coast in the summer time, and my dish of choice happens to be a classic New England lobster roll, in all its buttery goodness (oysters and cold rosé on the side, please!). After ordering lobster rolls from several different restaurants during my trip, I found that some variations had touches that made them more delicious and unique than others. One was served cold with the classic mayo mixture; one added diced veggies and herbs to the mix; and one consisted of three simple ingredients—bread, lobster and butter. But all had one thing in common: They were oh-so-delicious. Upon arriving home in California, I found that I missed the flavors of New England. 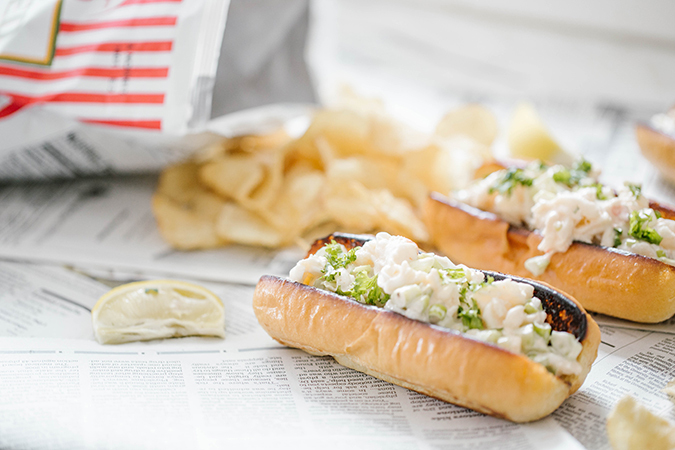 So, I set out recreate said flavors with my very own lobster roll… with a spicy twist. It’s easy enough to make at home for a big New England style dinner party, and it works just as well as a simple lunch for two. 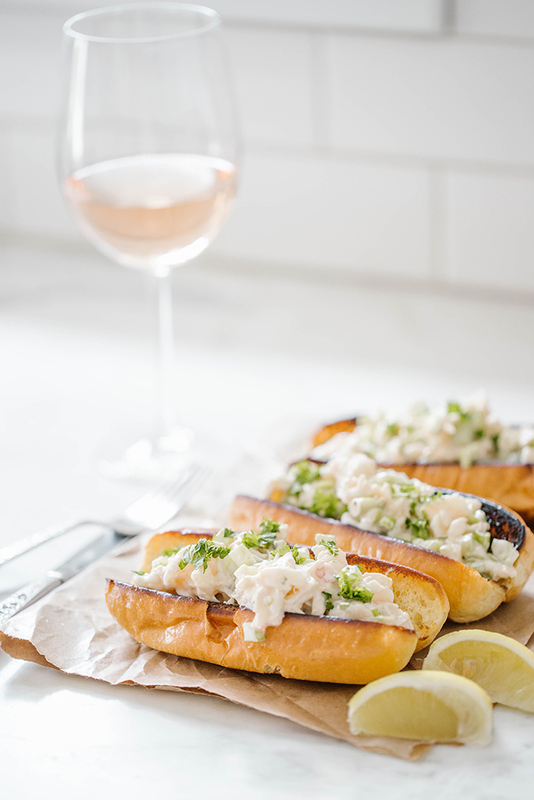 Without further ado, here is my recipe for homemade spicy lobster rolls… Don’t forget the rosé! 2. 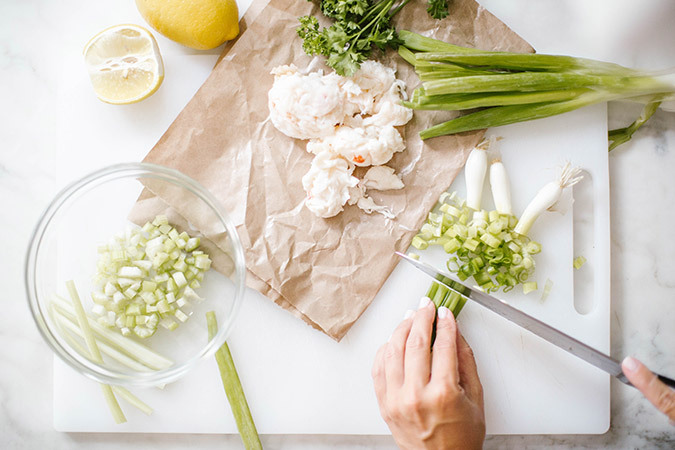 While your lobster is cooling, mix together your mayo, Sriracha diced celery, scallions, pepper and lemon juice. Taste-test as you mix to decide how spicy you’d like your lobster rolls, and add more Sriracha as needed. 3. After your lobster has cooled, remove the shell and break apart lobster meat into bite-sized pieces. Add the lobster pieces to your spicy mayo mixture, and gently toss until lobster meat is fully coated. 4. 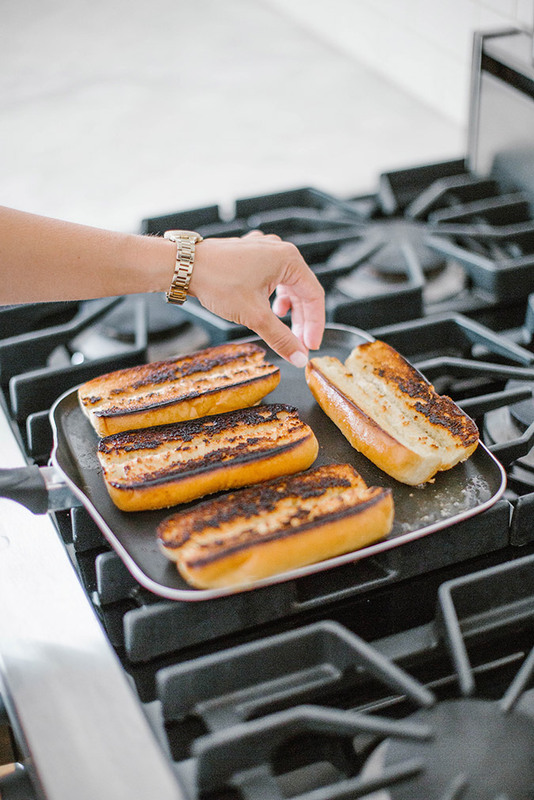 Open your rolls or hot dog buns and place face-down on a hot buttered grill or stove pan. Let toast until golden brown (or even a little crispy). 5. 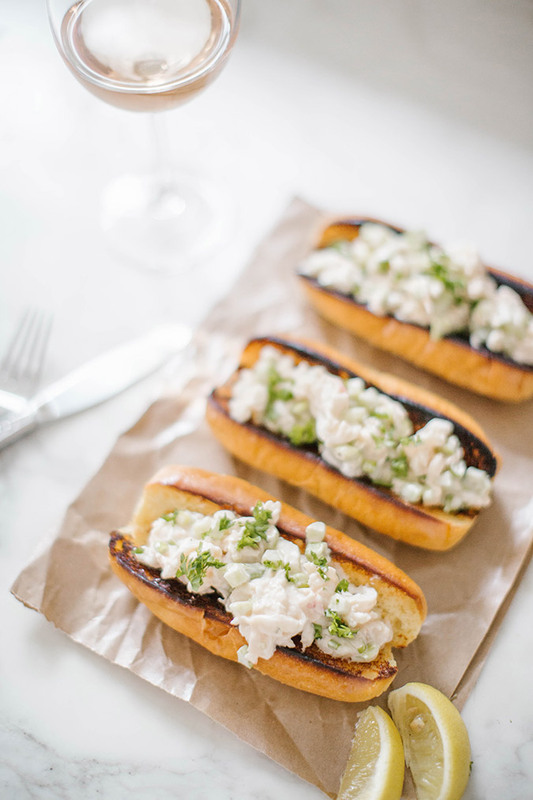 Once your buns are toasted, fill each one with lobster and top with a sprinkle of fresh parsley, pepper and a squeeze of lemon. Delicious, right? I personally love how the Sriracha adds a bit of spice to one of my all-time favorite summer dishes. But if you prefer things milder, you can go sans Sriracha and it’s just as tasty. 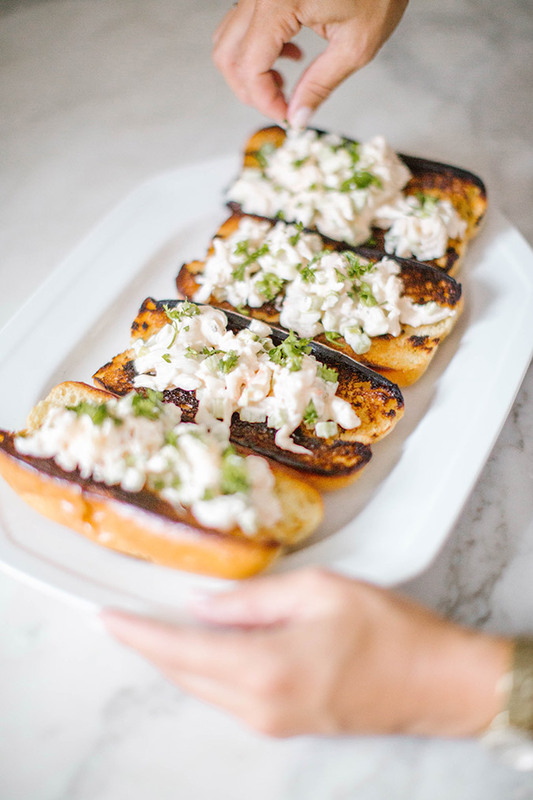 Will you be recreating my homemade spicy lobster roll? And, what’s your favorite summer dish to indulge on?